Used in such varied applications as automotive, aerospace, marine, transport, printing, agriculture, die cutting, construction, telecommunication, painting, inventory management and utility, gas lifts aid in the controlled movement of vehicles, covers, lids, doors, marine vessels, docks, platforms and even personnel. Because gas springs compress and decompress at a near constant rate, operators can provide controlled motion throughout the lifting process. The smooth opening and closing, lifting and lowering provided by these lifters is essential in many of the aforementioned applications where precision work is needed. It is important that a lift be suited to the specific application it is used for as load capacities may be extremely variable, ranging from less than one hundred to more than eighty thousand pounds. Regular maintenance is also crucial as lift components can wear over time and may lead to mechanical failure if not properly repaired or replaced. As use and capabilities vary greatly the size and configuration of gas lifts is also variable. 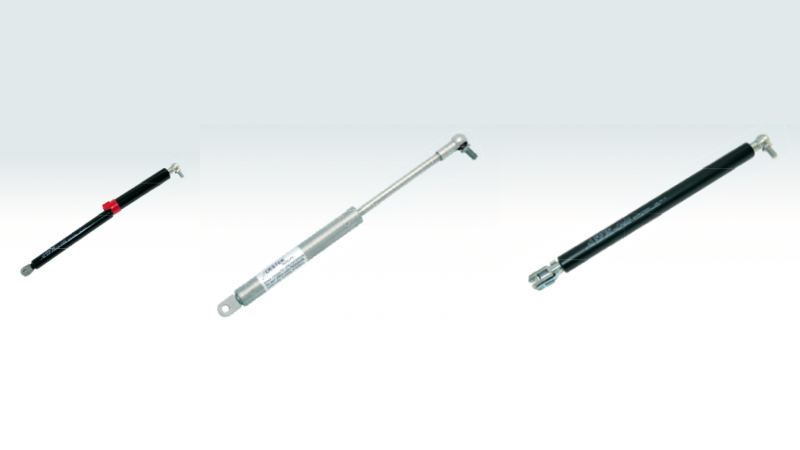 The basic gas spring design and operation, however, is similar in any application. The fundamental schematic is like that of an air or pneumatic cylinder. A sealed tubular body houses all of the other components and is made of durable materials such as steel, stainless steel, aluminum or thermoplastic as needed to suit the environment in which it will be used. The inner and sometimes outer surfaces are polished to a micro-smooth finish to prevent unwanted friction for the piston head, which is fitted to transect the cylinder. The addition of seals, elastomeric or metal, around this and all other valves or openings creates two air tight chambers within the main body. The piston head must, however, be able to slide up and down the barrel when activated by force or an increase or decrease in the gas charge present. A cold rolled rod is attached to the piston head internally and to the lift equipment externally. As compressed gas, usually nitrogen or carbon, is introduced into the side of the chamber opposite of the rod, it pushes the rod out, creating the extension needed to lift or push any attached loads. When lowering is needed pressure is either increased on the opposite side of the piston head, or decreased on the non-rod side. Alleviating the pressure allows the rod to retract back into the cylinder. Adjustable and locking gas springs are commonly employed in lifts, allowing users to secure and stabilize the apparatus at any point. Gas Lifts Gas lifts or gas lifters are simply gas springs used in lifting applications. 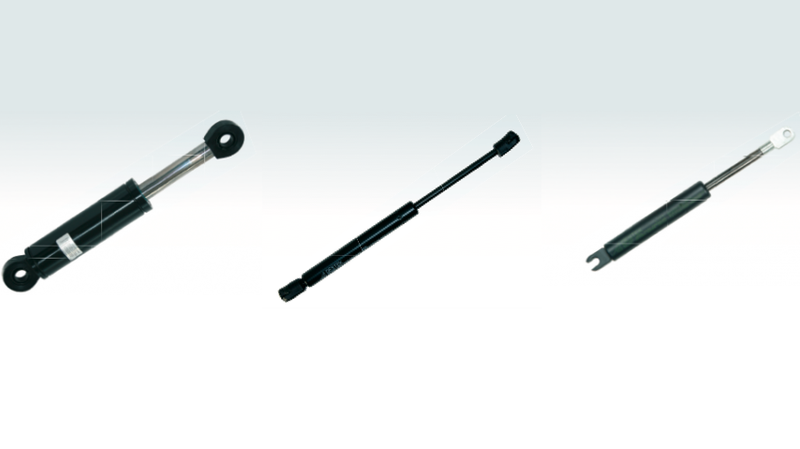 While gas lifts more commonly refer to a method used for oil lifting or extraction, gas spring lifts are a means of producing force through the use of compressed air in order to lift, raise, push or pull a surface or component as needed. Though referred to as lifts, these mechanisms provide smooth closing and lowering of objects as well.